Friday night fights at Madison Square Garden were once boxing’s most-anticipated weekly event. 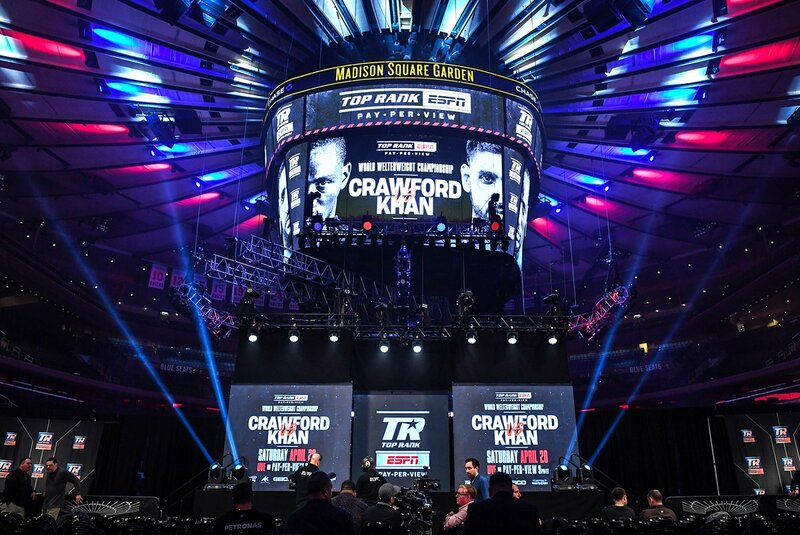 On Friday, January 18, Matchroom USA and DAZN teamed up for the latest installment. There were five fights of note. Amanda Serrano (35-1, 28 KOs) is one of today’s better women fighters and has made a career out of winning belts of questionable provenance against an assortment of opponents who’ve ranged from competent-but-barely-world-class to inept. By last count, she’d won “world championships” at 130,135, 126, 118, 122, and 140 pounds. Now she was dropping from 138-1/2 pounds in her last outing to 115 pounds in an effort to claim the WBO super-flyweight bauble (which would give her a “world championship” in a seventh weight division). Eva Voraberger (24-5, 11 KOs), a 25-to-1 underdog, was the designated loser. One day before the fight, Serrano weighed in at 115 pounds. On fight night, she weighed 133. Serrano-Voraberger lasted all of 35 seconds. Voraberger had the look of a deer in the headlights from the moment the bell rang and was dropped for the count by the first body shot that Serrano landed. For more than a century, the term “champion” was synonymous with glory and greatness in boxing. Now it’s a devalued marketing ploy, particularly for women boxers. John Sheppard, who oversees BoxRec.com, reported last year that boxing’s world sanctioning bodies have created 110 different women’s titles. This means that, assuming each title is available in 17 weight divisions, the sanctioning bodies have belts for 1,870 women’s champions. Meanwhile, according to Sheppard, there were only 1,430 active women boxers in the world. Thus, there were approximately 1.3 titles available for each woman boxer. In the fight immediately preceding Serrano-Voraberger, Reshat Mati knocked out Benjamin Borteye in 66 seconds. 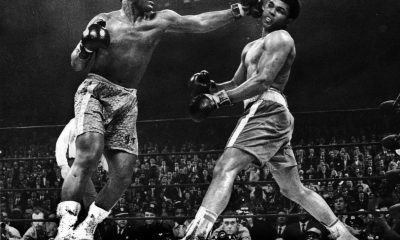 That meant, because of TV scheduling, there was a stretch lasting for an hour and five minutes during which fans saw 101 seconds of boxing. When DAZN and Matchroom announced their alliance last spring, Eddie Hearn pledged to improve the on-site experience for boxing fans in the United States. One presumes this wasn’t what he had in mind. 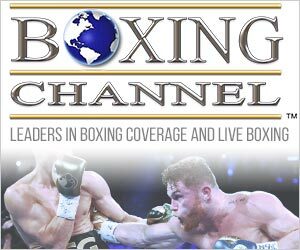 Serrano-Voraberger was followed by Chris Algieri (22-3, 8 KOs) vs. Daniel Gonzalez (17-1-1, 7 KOs). Algieri, age 34, is willing to go in tough. 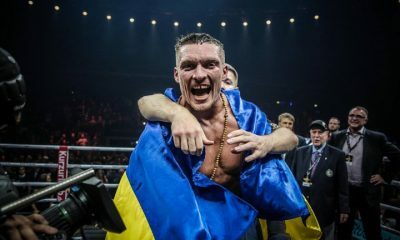 He showed skill, heart, and determination five years ago in rallying from two first-round knockdowns to decision Ruslan Provodnikov for the WBO 140-pound title. But since then, Algieri had lost three of five fights (to Manny Pacquiao, Amir Khan, and Errol Spence). Gonzalez was expected to pose a lesser challenge. The fight was made for Chris to win. Algieri-Gonzalez was a much better fight than it should have been, largely because it appears as though Chris can’t perform at a world-class level anymore. He started well, but his reflexes aren’t what they once were. And for a fighter who has relied on quickness and speed throughout his career, that spells doom. In round three, Algieri started getting hit with shots that Gonzalez wouldn’t have hit him with several years ago. Then Chris tired, and the second half of the bout was an exercise in survival. In an effort to shorten the fight, Algieri circled away whenever possible and held when Gonzalez got inside. Meanwhile, Daniel started throwing more and was cutting off the ring well. That said; everyone in the arena other than Gonzalez and his partisans must have felt empathy for Chris. It appears as though the judges did. The consensus at ringside was that a draw would have been credible. The judges thought otherwise, giving Algieri a 98-92, 97-93, 96-94 triumph that was booed by the pro-Algieri crowd. The 98-92 scorecard was beyond the pale and was turned in by James Pierce, who has a history of turning in horrid scorecards. One that comes to mind was Pierce’s 78-74 verdict last year in favor of Heather Hardy over Iranda Paola Torres. Next up; Irish-born T.J. Doheny (20-0, 14 KOs), now living in Australia, defended his IBF super-bantamweight belt against Rychei Takahashi (16-3-1, 6 KOs) of Japan. Takahashi evinced the skill level of a club fighter. Doheny wore him down en route to a stoppage at 2:18 of round eleven. In the semi-final bout of the evening, Jorge Linares (45-4, 28 KOs) moved up to 140-pounds to pit his skills against Pablo Cesar Cano (31-7, 21 KOs). Linares, age 33, has held belts at 126, 130, and 135 pounds. All of his defeats had come by way of knockout (against Juan Carlos Salgado, Antonio DeMarco, Sergio Thompson, and Vasyl Lomachenko). Cano had compiled a 5-and-6 record with one no contest during the preceding six-and-a-half years. Linares-Cano was bombs away from the start. Thirteen seconds into round one, Cano dropped Linares to the canvas with an overhand right. Jorge rose and seemed to be okay. But he wasn’t. Cano dropped him again with a left hook up top just past the midway point of round one and again forty seconds later. 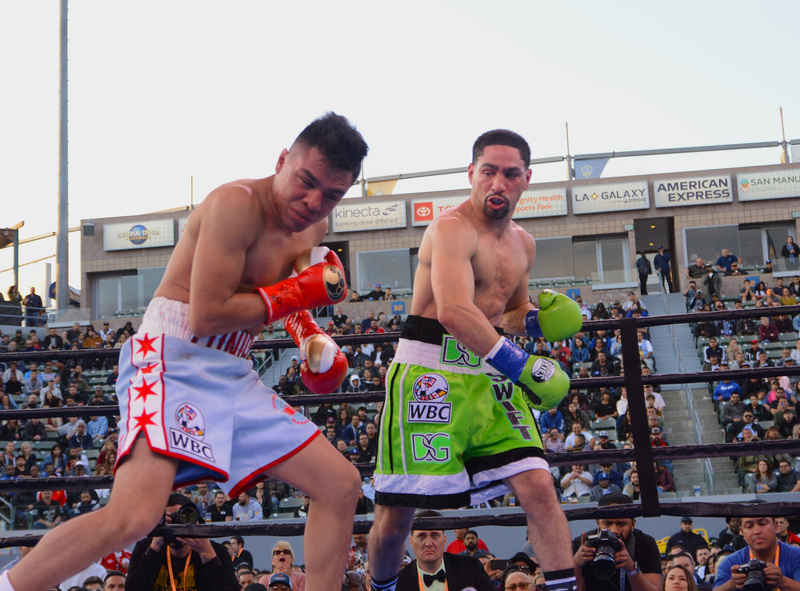 A fourth knockdown seemed imminent when referee Ricky Gonzalez stepped between the fighters and appropriately stopped the bout at the 2:48 mark. 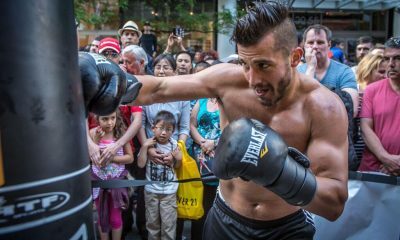 The ease with which Cano dispatched of Linares might lead to a reevaluation of Vasyl Lomachenko’s struggle against Linares at 135 pounds in May of last year. Then it was time for the main event: Demetrius Andrade (26-0, 16 KOs) vs. Artur Akavov (19-2, 8 KOs). Andrade, who will turn 31 next month, represented the United States as a welterweight at the 2008 Beijing Olympics and lost in the third round to eventual bronze-medalist Kim Jung-Joo of South Korea. 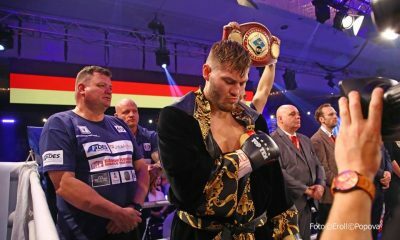 He won the WBO 154-pound title by split decision over Vanes Martirosyan in a dreadfully dull fight in 2013; a WBA 154-pound belt via split decision over Jack Culcay in a dreadfully dull fight in 2017, and the vacant WBO 160-pound title by decision over Walter Kautondokwa last year. He has never fought a top-tier opponent. 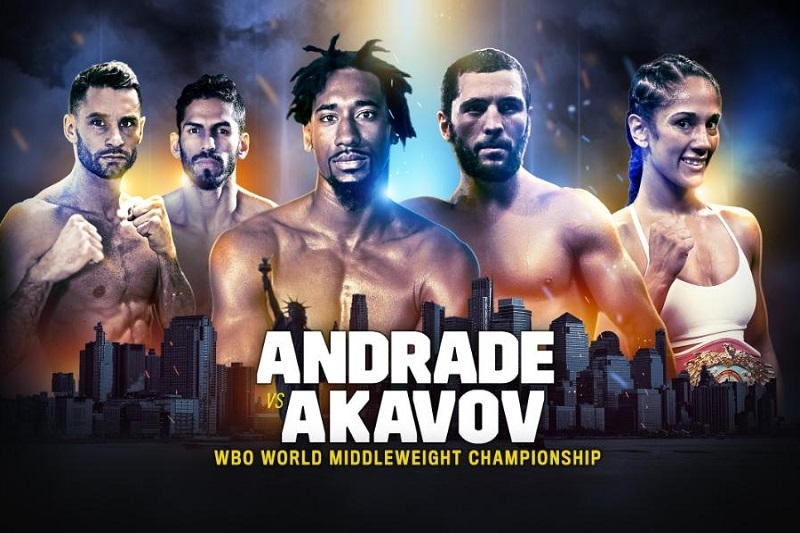 Akavov, born in Russia and now living in California, was a typical Andrade opponent. 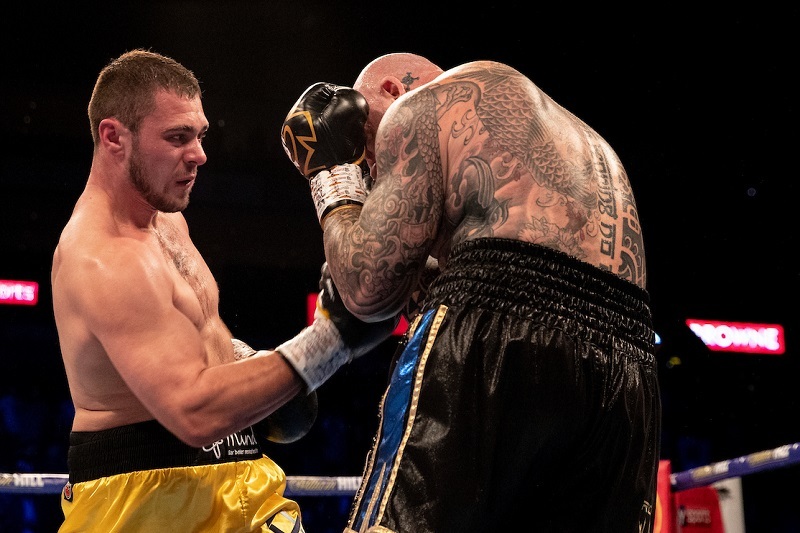 A 20-to-1 underdog, he has limited ring skills, limited power, and was out-boxed in his one step-up fight (against Billy Joe Saunders in 2016). 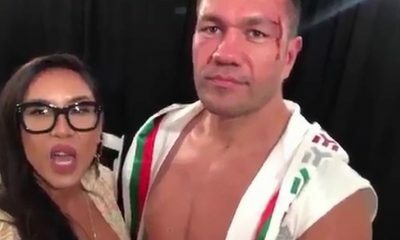 Andrade-Akovov was a boring tactical fight. Andrade used his jab – it’s a good one – as an offensive and defensive weapon to control the action. Akavov was outclassed. And if he didn’t know it before the fight began, he knew it from round one on. After a few stanzas, he seemed interested primarily in going the distance. 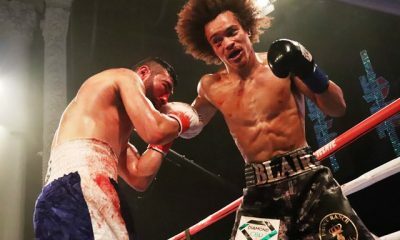 It’s hard to knock out a fighter who’s trying simply to survive; particularly if you’re not trying to knock him out (which Andrade didn’t seem intent on doing). Demetrius fights with the urgency of a man who’s in the gym, sparring. On this occasion, he seemed content to simply put rounds in the bank. The crowd thinned noticeably as Andrade-Akavov dragged on. With 24 seconds left in round twelve, referee Arthur Mercante stepped between the fighters and, over Akavov’s bitter protest, stopped the contest. It wasn’t the worst stoppage in recent memory. But it wasn’t the best either. Mercante has been justly criticized in the past for letting fights go on too long. Better too early than too late. Gennady Golovkin, Canelo Alvarez, or Danny Jacobs might push Andrade to greater heights. 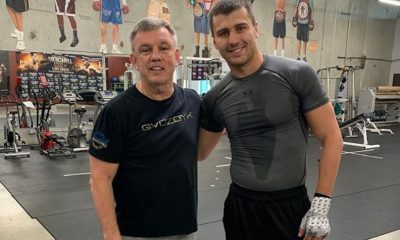 That said; Golovkin would have knocked out Akavov in three rounds. But the buzz at ringside on Friday night wasn’t about the then and now. 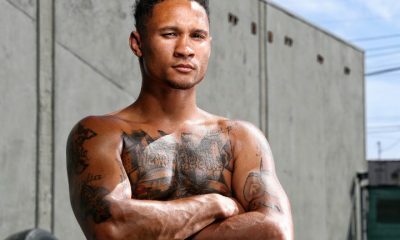 It was about the announcement that Danny Jacobs has just signed a three-fight deal with Matchroom USA and that his first fight under the agreement will be against Canelo Alvarez on May 4 on DAZN. DAZN subscribers will get their money’s worth and then some on that one. Thomas Hauser’s new email address is thomashauserwriter@gmail.com. His most recent book – Protect Yourself at All Times – was published by the University of Arkansas Press. In 2004, the Boxing Writers Association of America honored Hauser with the Nat Fleischer Award for career excellence in boxing journalism.